Beat the heat this summer with an energy-efficient and unobtrusive cooling solution. 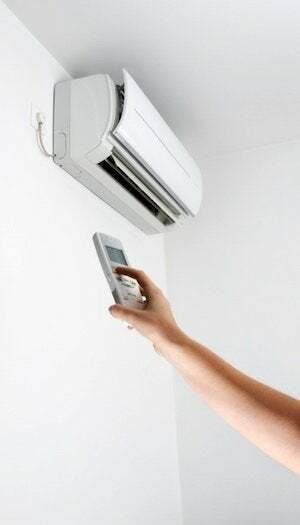 Every summer, sweltering temperatures prompt homeowners to take a renewed interest in air conditioning, whether it be the lack of a cooling system or the need for an upgrade. In the past, there were only two main options, neither fully satisfying for those seeking permanent, affordable climate control. Portable window units, on one hand, are temporary by definition. Although cheap to purchase (and relatively painless to install), even the high-efficiency models tend to set the energy bill soaring. On the other hand, central air conditioning provides a permanent solution, but installation typically entails the hassle and expense of large-scale remodeling. This results in a maze of ductwork and often hogs otherwise usable square footage. In essence, homeowners tend to view one option as being too little, and the other as too much. Fortunately, there’s an often-overlooked third option that offers an appealing compromise—mini-splits. Already beloved in many other parts of the world, mini-splits have been gaining more and more traction in the United States in recent years, and it’s easy to see why. Compared with window units, mini-splits are “more permanent and better looking,” says Daniel O’Brian, a technical specialist with SupplyHouse.com. More important, mini-splits are generally considered to boast the greatest energy efficiency of all, helping homeowners keep monthly utility bills as low as possible. Meanwhile, in contrast to an elaborate, ducted central-air system, mini-splits are dramatically more compact, in large part because they do not involve any ductwork whatsoever. Because of their unique and streamlined design, mini-splits can be configured precisely to meet your family’s needs, bringing climate control either to one room or to every room in the house. A simple mini-split system consists of two components—a compressor (mounted outdoors) and an evaporator (mounted in the space that the unit serves). Connecting the two are refrigerant lines that technicians fit through a small hole in the exterior of the home. Believe it or not, in many cases installation involves nothing more than mounting and connecting the indoor and outdoor units. Though more involved than simply placing a portable AC into the frame of a window, the process couldn’t be much simpler, especially when compared with the intensive, often invasive installation requirements of a central air-conditioning system. Typically, the latter involves a sustained, weeks-long effort, with installers often having to open up walls or build new soffits to accommodate ductwork. Because mini-splits are ductless, the technology installs unobtrusively and relatively quickly, sometimes within the span of single day. Homeowners appreciate the speed and ease of installation, but they particularly love the fact that it can be completed, according to O’Brian, without “damaging or cluttering” the existing home in any significant way. Mini-splits achieve virtually unparalleled energy efficiency in more ways than one. 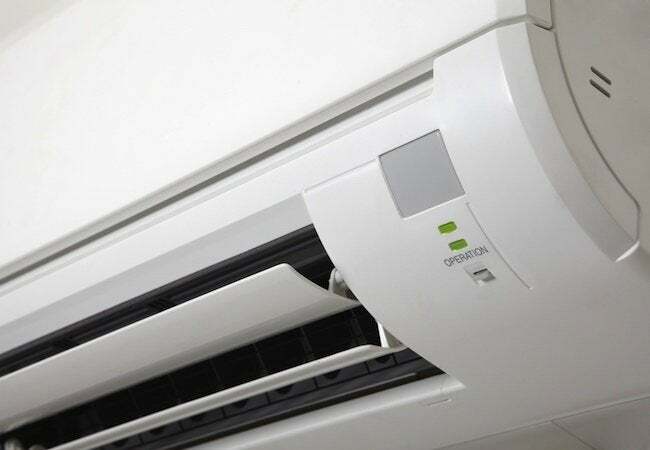 For starters, their ductless design enables the technology to sidestep the fundamental flaw that often leads central-air systems to rack up a small fortune in energy costs—namely, leaky ductwork. Despite being a vital part of a ubiquitous type of HVAC, ducts are commonly known to be vulnerable to air leaks. As air escapes from the ductwork, often at the joint where two sections meet, the system must work harder and longer. As a result it consumes more energy than strictly necessary to maintain the target temperature. The homeowner, of course, gets stuck with the bill at the end of the month. As well, mini-splits conserve energy by running continuously at a low power level. Although this seems counterintuitive, continuous running draws considerably less electricity than the usual stop-and-start, cyclical operation that characterizes both window units and central AC. Taken all together, the efficiency advantages of a mini-split enable the average homeowner to save up to 40 percent on cooling, and those savings really add up over time. Some homeowners elect to install a mini-split as a way of delivering supplemental cooling to a room underserved by the primary HVAC system—a basement bedroom, for example. The technology really shines, however, when it’s employed to keep the entire home comfortable. That’s because in such an application mini-splits allow for zoning, something O’Brian sees as “the best feature” of the technology. In the average home, a single, centrally located thermostat controls the temperature for the entire house. With a whole-home mini-split system, however, you can establish multiple zones that can each be set to a different temperature. According to O’Brian, that means you get “targeted temperature control” on a zone-by-zone, or room-by-room, basis. Not only does such a fine degree of control enable homeowners to trim costs by curtailing climate control in unoccupied rooms, but it also ensures comfort. 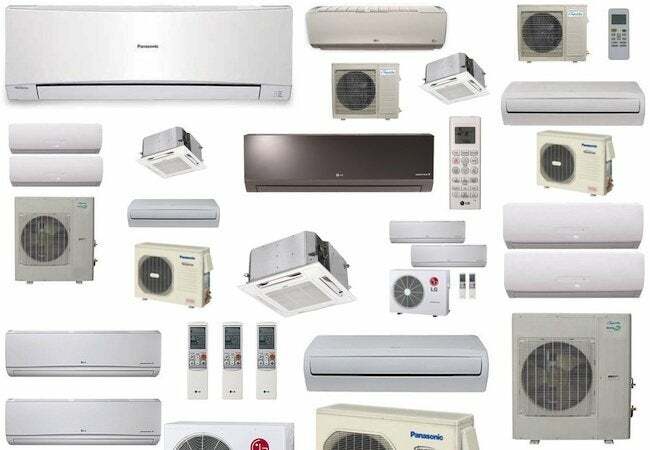 At long last, different family members with different temperature preferences can all be comfortable under the same roof and at the same time. Both single- and multi-zone mini-splits are available from industry leaders like LG, Panasonic, and Comfort-Aire. Capacities range from approximately 9,000 to 30,000 BTUs, with the appropriate size dictated by the project scope. The homeowner also enjoys a wide range of choice when it comes to the design of the indoor unit. In addition to the standard wall-mounted version, some manufacturers offer inconspicuous evaporators that recess into the ceiling. Others take it a step further. LG, for example, offers the Art Cool system, in which the remarkably slim indoor unit doubles as a picture frame. As O’Brian summarizes, “With the single-zone, multi-zoned, recessed, and Art Cool systems, there is sure to be something that will work for any home.” Need help navigating the various possibilities? SupplyHouse.com experts are always on hand to assist you in making the right choice for your home, your needs, and your family. Stay cool!